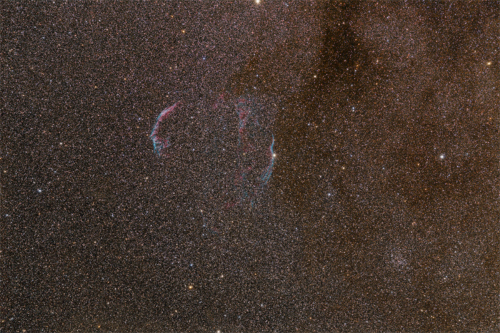 The Veil nebula is the visible structure of a famous supernova remnant in constellation Cygnus. The structure is so large that several NGC numbers were assigned to various arcs of the nebula. There are three main visual components: • The Western Veil, consisting of NGC 6960, near the foreground star 52 Cyg. 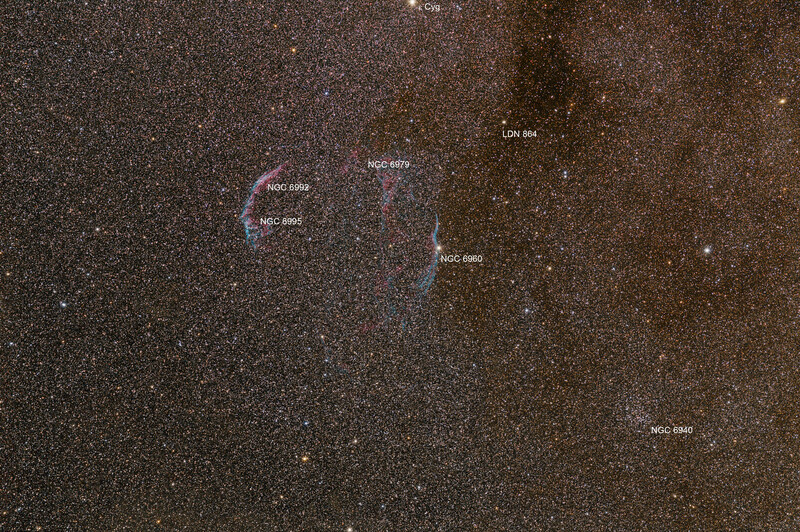 • The Eastern Veil, whose brightest areas are NGC 6992 and NGC 6995. • Pickering's Triangle, which can be found between NGC 6992 and NGC 6960.